All Christopher Creek homes currently listed for sale in Christopher Creek as of 04/22/2019 are shown below. You can change the search criteria at any time by pressing the 'Change Search' button below. If you have any questions or you would like more information about any Christopher Creek homes for sale or other Christopher Creek real estate, please contact us and one of our knowledgeable Christopher Creek REALTORS® would be pleased to assist you. "Beautiful 4.63 Acres with part time Colcord Creek going through property. Backs USFS with Views of the Rim. 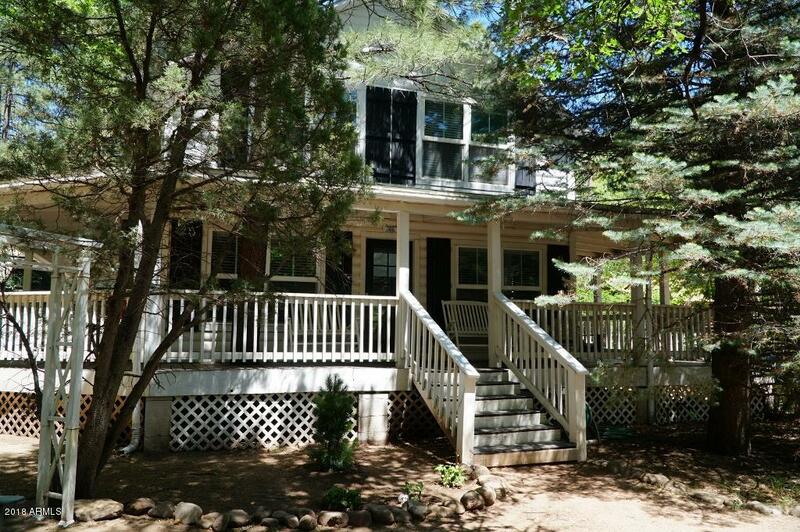 2-story 1628+/- sq ft Main Home is 2 BR 2 BA w/wrap around decks & patios. 2-story 768+/- Guest House w/2 BR 1 BA and Carport. 1200 sq ft shop, storage. 2 wells, 2 septic tanks. Private gated access for only 3 properties. Property has many recent upgrades, paint, roofs, well pumps, flooring, baseboard heat, counter tops, new deck. Great views of Rim, Meadow & Creek. 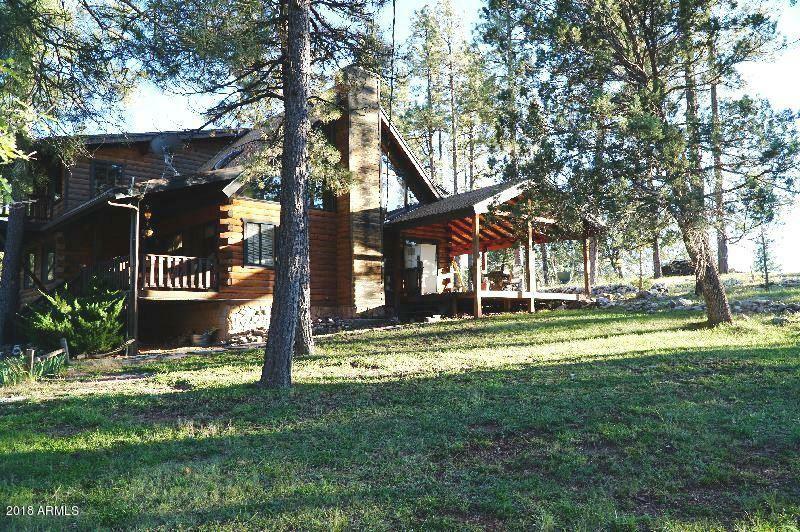 Watch all kinds of wild"
"Full log home, 2 bedrooms on ground floor, full bath, large open Sleeping Loft with lots of sleeping area. Large open beams & skylight. Wood on floor, walls, and ceilings. Covered front & back decks. 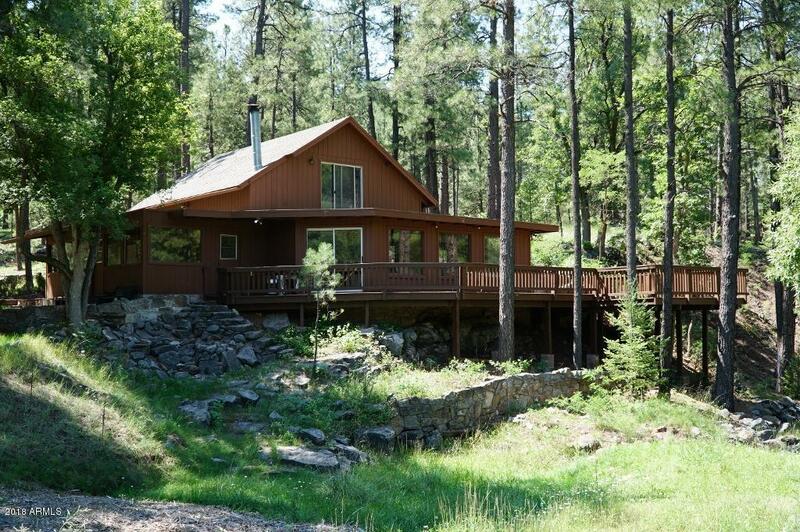 Great views of the Mogollon Rim. Back up generator, 1500 gallon water storage tank. Storage Building, large well house with storage. Laundry room. Appliances and some furniture included. Generator stays, elk head stays. Items not staying will be marked." "Charming two story modern farmhouse on .33 acre corner lot with white picket fence. Three bedroom, two baths, wood laminate flooring, upgraded trim, Milgard windows w/wood shutters, recessed lighting and ceiling fans throughout. Sandstone fireplace, baseboard heat, open kitchen w/large south facing windows, dishwasher, classic vintage stove. Family room with coffee bar, wood stove, vaulted wood ceilings, and French doors to wraparound deck. Lower full bath w/tiled walls & floors. Large Laundry r"
"On Grid and Off Grid Custom home with oak floors, vaulted ceilings, bay window dining area, Berber carpet, ceramic countertops. 2 wells, one with a hand pump. Garage, root cellar, screened porch, open deck, 1250 gallon water storage tank. 2 propane tanks - 1000 gallon and 250 gallon. Wood fired boiler heats each room, also forced air gas heat. Stack washer/dryer in bathroom. 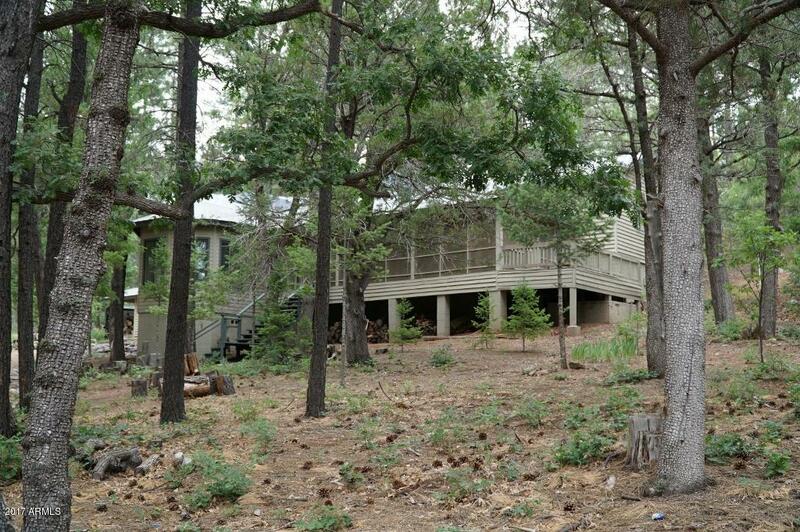 1.11 acre lot with tall pines, storage shed, garden area. Solar panels are not operational at this time." 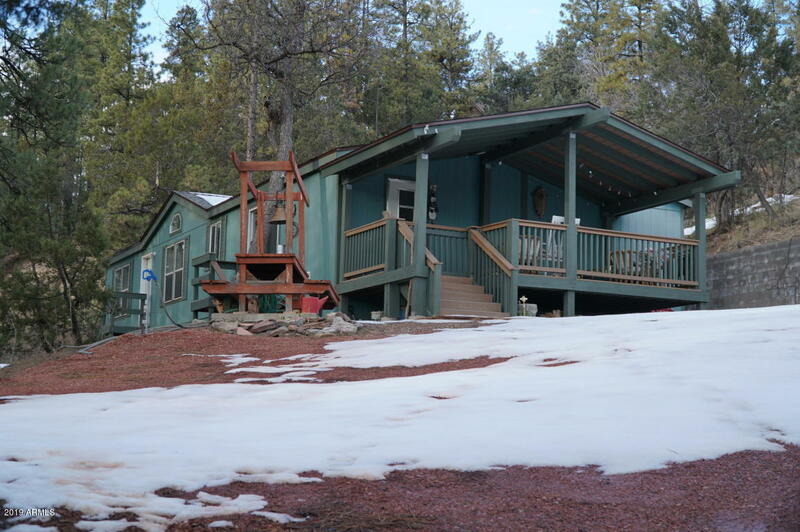 "Large .87 acre lot with 2003 Manufactured Home with three bedrooms and two baths. Great views, Covered deck, some furniture included."